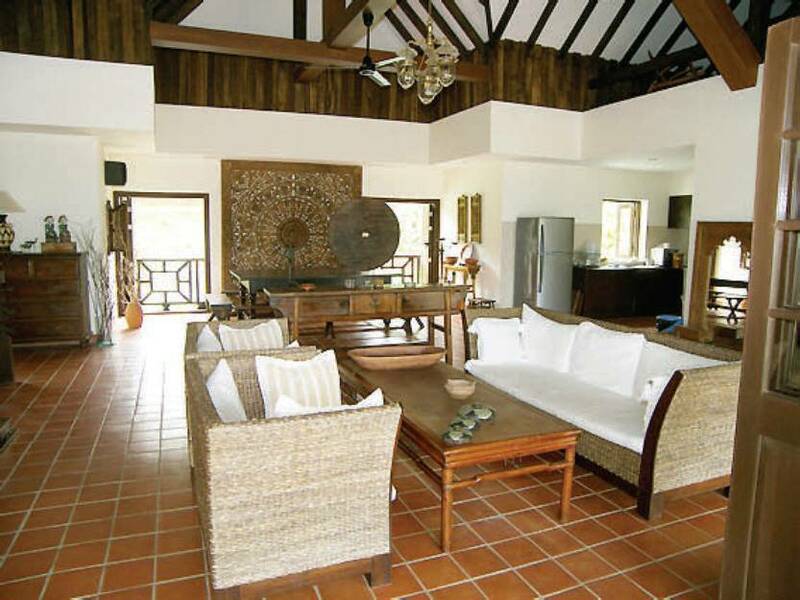 This outstanding villa is located on Andaman sea front panoramic view with a lake side with large private swimming pool. Just a few miles north away from Krabi Airport which is far enough from tourist crowd but yet close enough to offer easy access many beautiful paradise islands. Scheduled amidst tropical on the pristine shore of the perfect location, these stunning villas all feature panoramic views over Phang-Nga Bay and Group of Hong Island in Thalane Bay famed for its crystal blue waters and idyllic sunset. Perfect for couples, friend, or entire families each villa with spacious Thai style living-room and separate dining area. The interior fit-out is tastefully decorated for tropical living with an array of Asian Art and Authentic antiques. Among the peaceful tropical garden, Kaleane is delightfully private with personalized accommodations which is ideal for those seeking relaxation and complete privacy. 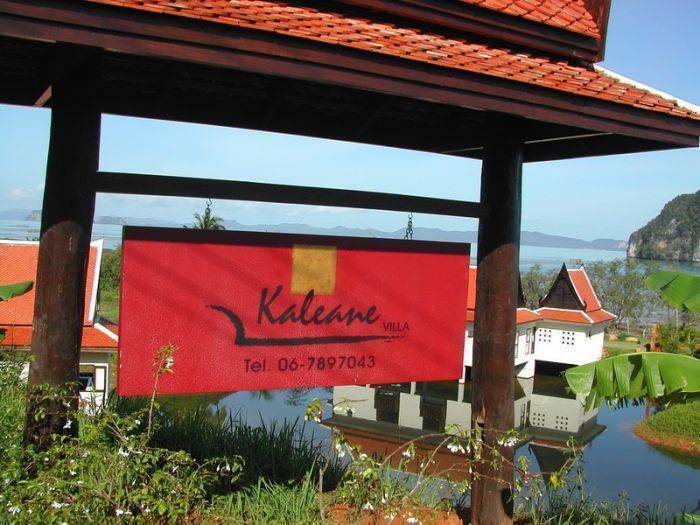 You will really experience Thai while staying at Kaleane villa. 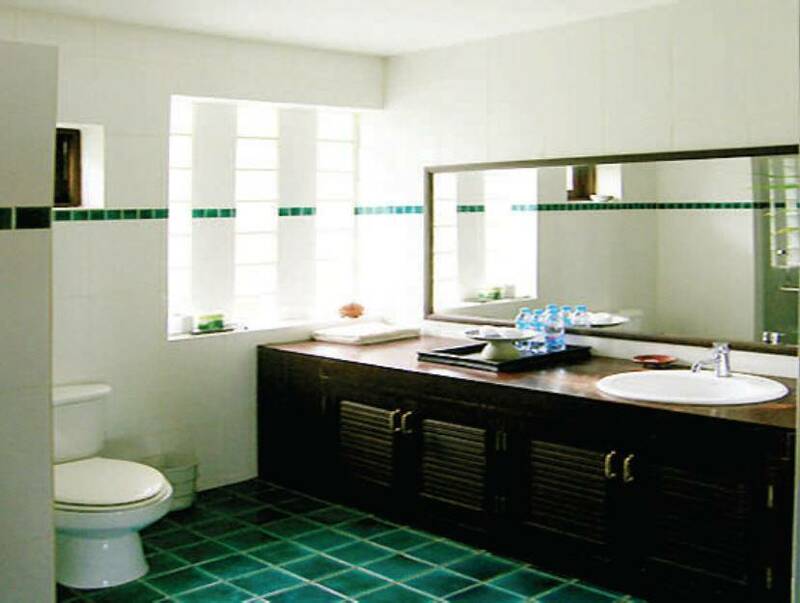 You will be appreciate the comfort and in formality by our friendly staff caring and pampering your every need will make your trip feel like home. The total living area is 230m2. The total ground is 4600 m2. and 2 junior bedrooms) and 4 bathrooms. The total living area is 350m2. The total living area is 185m2. The main building house a large open fronted living and dining area decorated with antiques and exudes an aura of simplicity and style. Its centerpiece is a antique dining room table capable of seating twelve people in comfort. 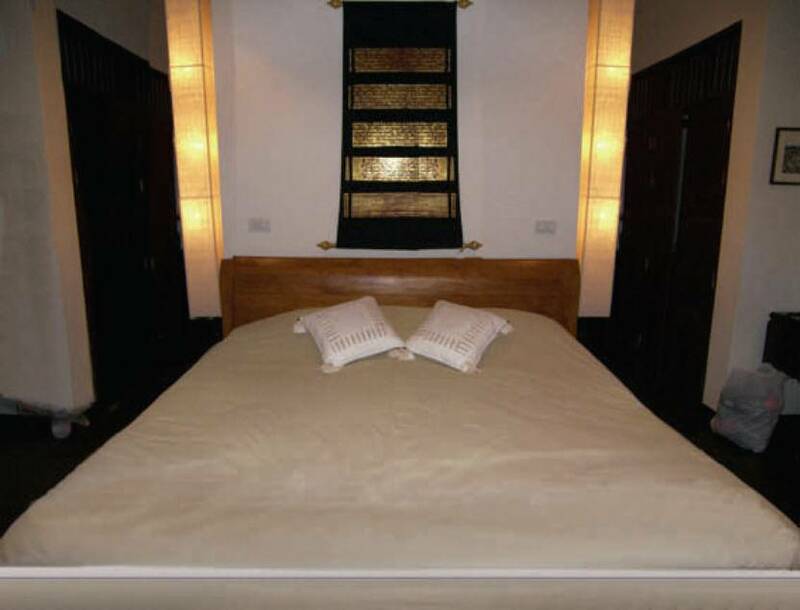 Black tales floors lead into the the two master bedroom suite that is dominated by exotics paintings above the king size bed. 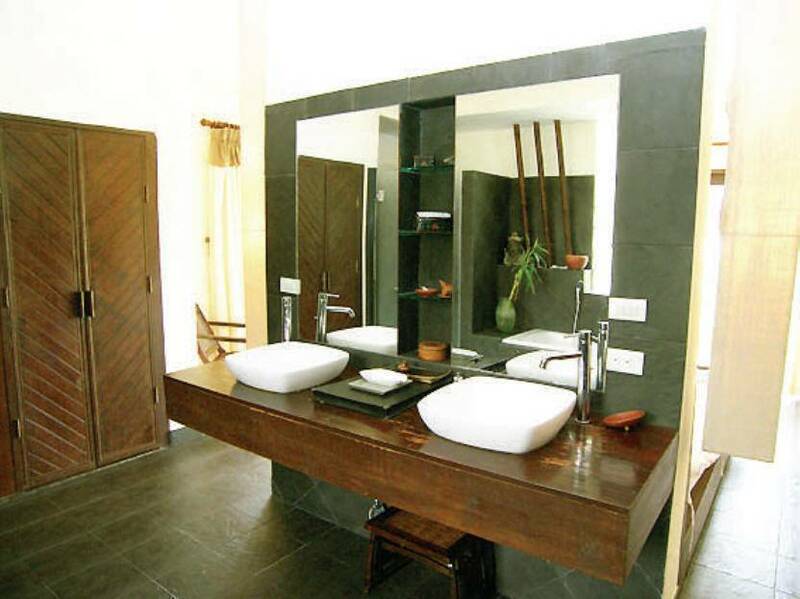 The master bedrooms also contains a large sunken bathtub, separate shower, and direct access to the swimming pool, 4 more bedrooms , both with air-conditioning, are located on the main building, each with terrace, direct access to the swimming pool and sea view. Directly in front of the main building and looking on the sea a marine colored swimming pool , the manicured garden, featuring frangipani, palm trees, Buddha statues, and a lot of different exotic plants, close to the sea, a large covered pavilion, in the local language "sala" constructed in traditional Thai style with a intricately thatched roof and supported by four massive pillars , this bale provides an informal area in which to relax with a cocktail and enjoy the exceptional colors of the sunset. 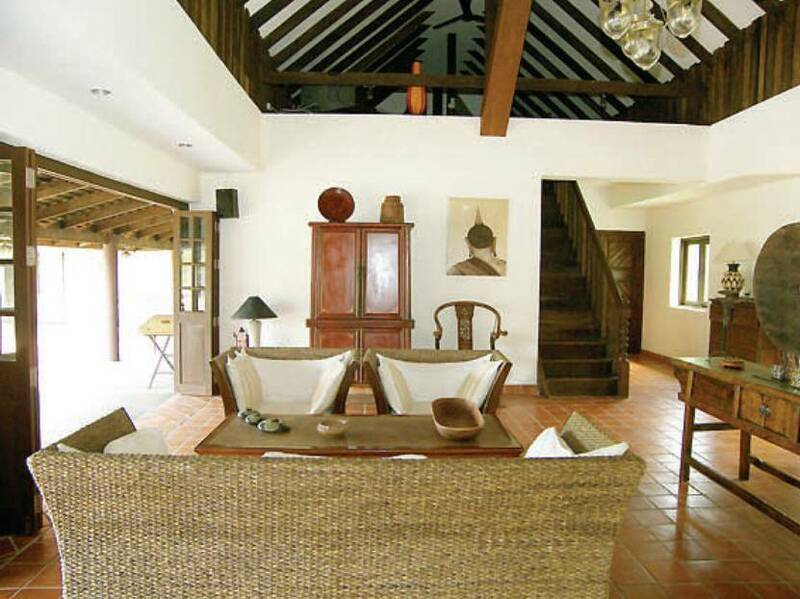 The main building have traditional thatched roofs and is furnished with a number of antiques and some valuable paintings. Bedrooms have terraces facing the pool and the sea, and large doors to let in the fresh sea breeze. In the center of the main building is the large entrance hall and dining and living area furnished with comfortable lounge furniture and over-looking the swimming pool and sea. The kitchen is connecting to the dining area. It is equipped with a micro wave, grill, large refrigerator/freezer, etc. 1 Kilometer To Thalane for Kayaking. 1.Booking must be deposit 30%. 2.Booking prior 1 month of arrival full amount must be received within 30 days of arrival. 3.Booking within 1 month of arrival full amount must be received before 15 days of arrival. 35 Minute from Krabi Airport.